The 60 Minute Kids’ Club is a fun and engaging program designed to get children from K – Gr. 6 excited about making the right healthy choices. Our aim is to empower families with the knowledge and skills to live a healthy and active lifestyle. This program engages kids through an online, interactive medium with goal setting, accountability and fun incentives. The 60 Minute Kids’ Club is a conduit for healthy lifestyle habits and serves as a stage for sharing success stories and promoting healthy role models. The framework of this program is to have fun and encourage kids to live by the 5-2-1-0 guidelines. This foundation of physical fitness and healthy nutrition will assist in enhancing children’s quality of life as research shows that children and adults who are active and eat healthy decrease their risk of cardiovascular disease, stroke, hypertension, type 2 diabetes and some types of cancers. Participation in this program is all about having fun and getting active, and should not be considered as a weight loss program. Your school can make the move to help its students become more active. As parents, you can help your kids by supporting them as they undertake the challenge of Being Active Every Day for at least one hour! Elementary Schools, join the next healthy challenge! www.60MKC.ca/signup or contact info@60minkidsclub.org for inquiries. The term “Mitochondrial disease” refers to a group of disorders. There are so many types of Mitochondrial disease it would be impossible to name them all, and many have yet to be discovered. Each condition is the result of a genetic mutation – a specific change in the genetic material of the mitochondria. The mutation causes the mitochondria to fail. 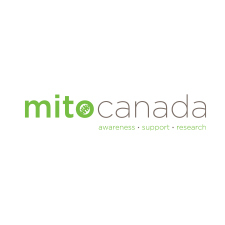 In 2009, MitoCanada was formed by a group of mitochondrial disease patients, family and friends, with support from dedicated medical professionals. MitoCanada exists to provide support and practical information that will help to improve the quality of life and sense of community for patients and their families. 5 Peaks has announced a new partnership with Tree Canada and a new Mission Statement. We are asking for our participants to plant one tree every time they register for one of our races. It’s a simple step as you checkout as part of your online registration. We don’t want to tell our racers what to do with their money but we do want to make it easy for them. The cost to the racer? $4. And you even get to pick the region you want it planted in. Our long term goal is to find a corporate sponsor who is willing to plant one tree for every 5 Peaks registration. We know it’s just a matter of time before this happens. We’re putting it out there and hoping to attract the right partner. Please help us spread the word. If you know a company who might be interested, please send them our way! We want to make a difference as a group, and we want our racers to be able to be a part of something significant. Greening our cities and re-foresting areas that need trees. Bringing humans back to the woods, and the woods back to humans. Together, we can force the death of Nature Deficit Disorder! Yes, that’s right. NATURE DEFICIT DISORDER. As coined by Richard Louv in “Last child in the woods”. This term refers to a condition where humans are not exposed to enough of the natural world. They spend too much time in concrete jungles, in front of the TV or computer, breathing recycled or polluted air, surrounded by electricity, and video games and fluorescent lights and not enough time in the woods. They can recite any and every commercial’s tagline and sing along with their jingle (Think I Travel 2000.com) but they can’t name a single bird song when they hear it. Louv points out that “direct exposure to nature is essential for healthy childhood development and for the physical and emotional health of children and adults”. Our new mission statement: To celebrate with friends and family on the trails, in and with nature. To give back more than we take. To preserve and respect the natural places we love to be a part of. To teach our children the same. And then, we will have something to celebrate. Let’s make this our mission 5Peaks Runners. See you on the trails. Fast and Female is a not-for-profit society started in 2005 by Chandra Crawford, an Olympic gold medalist in cross country skiing at the 2006 Games. The organization’s goal is to support, motivate, inspire and empower girls ages 9 to 19 to stick to sports and the healthy lifestyle. Fast and Female creates “Empowerment through sport” for girls by hosting fun-filled, non-competitive programming led by female Olympians and elite athletes, as well as by delivering educational content to parents and coaches. Fast and Female’s vision is to deliver inspiring, innovative, and high impact programming for the positive personal and athletic development of young female athletes involved in an array of sports. Fast and Female hopes that one day, all girls will have positive and empowering experiences in sports as a foundation for success in life. Wakunga is back from the latest tour of Kenya. I wanted to share with you pictures of how the donated money from 5Peaks has benefited our non-profit. Wakunga is currently raising funds for the Magarini Wakunga Association – a group of 15 Traditional Birth Attendants in rural Kenya. They rarely have clean birth supplies and they don’t have easy access to clean water. The women often have to walk great distances to collect water from a well. Your money has allowed us to buy 6 water tanks. Tanks that can be used to collect rain water and then be sold and the profit used to buy more birth kit supplies. The easy access to clean water at the TBAs homes also means that births that happen are done in a cleaner, more hygienic way, which reduces the risks of infection. Water is a most valuable commodity int these communities. As you can see by the photos, these items were gratefully received. Your donations also allowed a training day to be held, with lunch provided for all the TBAs that attended. Primary and Continuing Education is essential for the TBAs to continue to do their work safely. We cannot thank you enough for your donation and hope to work with you again in the future. Thank you again for your donation and we look forward to another great year of 5Peaks Trail Running. Midwives for Wakunga International Inc.